Whether matching sympathetically to original feature doors or supplying new build projects, our traditional designs can really enhance the look of a property. We can manufacture to your own specification, whether it be an individual design or a sympathetic reproduction required for a replacement in a conservation area. 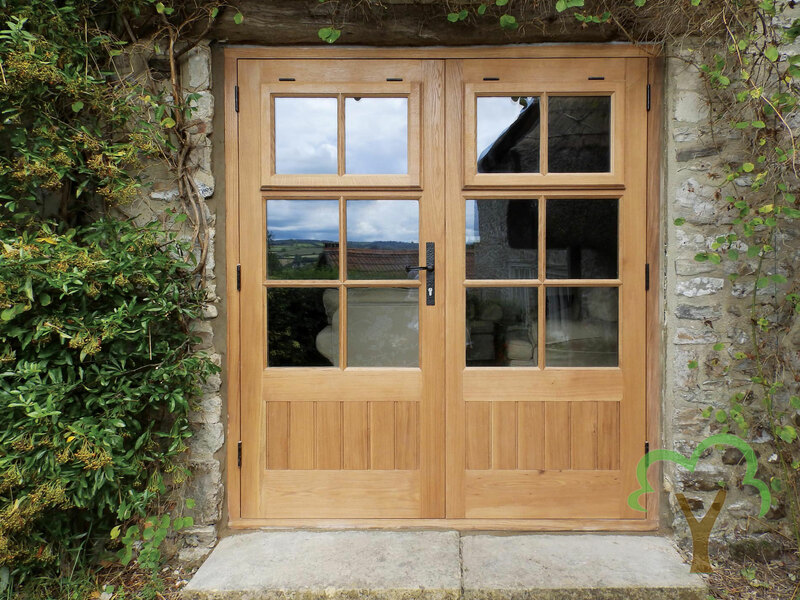 Our French door sets come complete with multipoint locking with two pairs of door handles for master and slave for a traditional appearance. Lever operated Lock mechanism incorporating two heavy duty brass hooks, latch and deadbolt with two shootbolts on the slave leaf. Slave and Master door have independent cylinder locking capability and can be keyed alike using an extensive range of cylinder options. 25mm throw security hooks help counter bow and twist and aid the easy operation of the locking system. Police ‘Secured by Design’ approved.